It’s the end of the Build season and we’re off to Duluth Regionals as part of Week 2 competitions. Take a look at our sixth weekly newsletter and learn about how we performed at the Eagan Week Zero event. 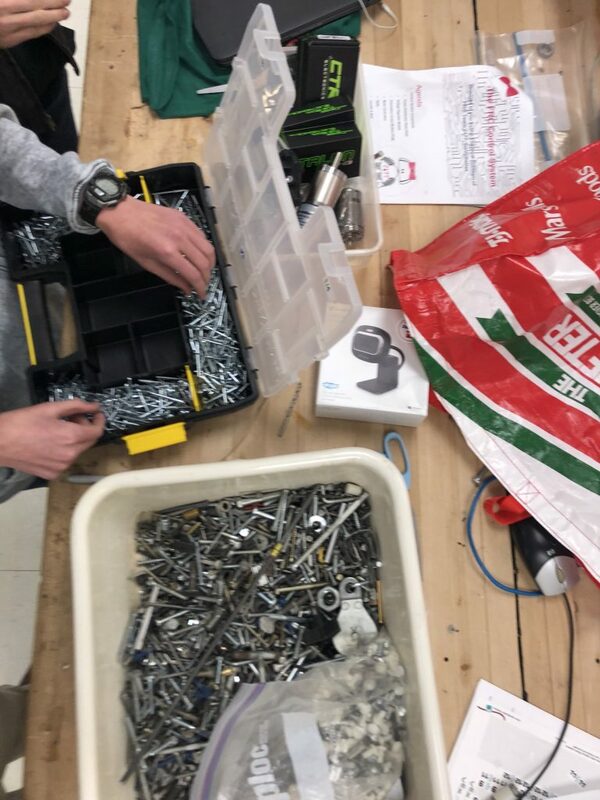 It’s the end of Build Week 5 and there’s just 9 days left in the robot build season. 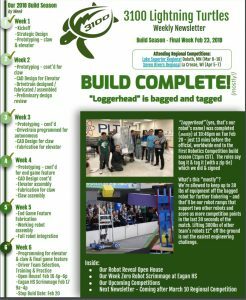 Take a look at our fifth weekly newsletter and learn about how we have achieved full assembly of the bot and have finishing touches and programming next! Robot Complete! 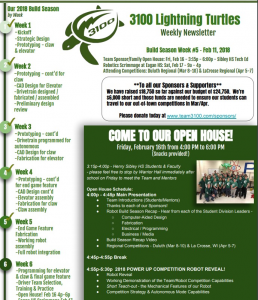 Ready for Competition Open House! Thanks to each of our Sponsors! 4:55p-5:30p 2018 POWER UP COMPETITION ROBOT REVEAL! It’s Saturday and there are only 2 weeks left in the build season. 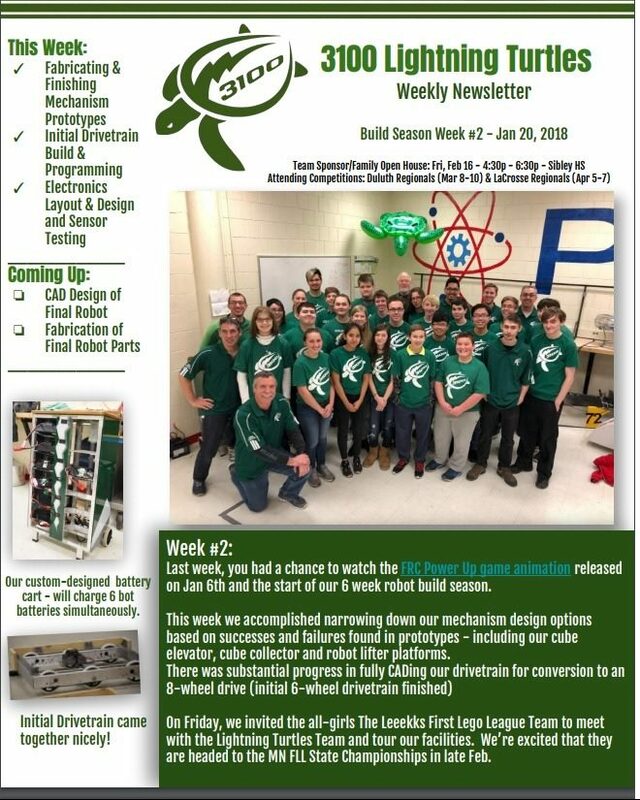 Take a look at our fourth weekly newsletter and learn more about how our robot mechanisms are coming to life and being attached to our evolving bot. 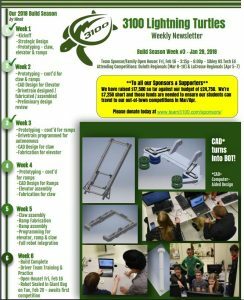 Our third weekly newsletter is out and sums up our continued prototyping, programming and design/fabrication work. Just 3 more weeks left! 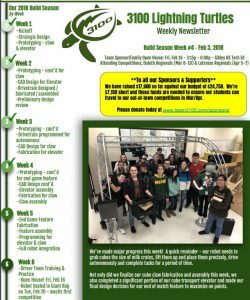 Our second weekly newsletter is out and caps our rapid move forward on prototyping, finishing the robot drivetrain/chassis, CADing all elements of the robot design – including mechanisms and electrical as well as getting initial programming underway for sensors and robot driving. 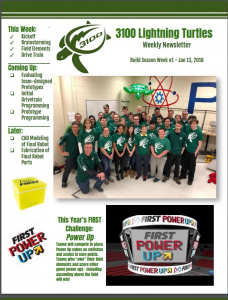 Our first weekly newsletter is out and caps our first week since the 2018 FRC Game – Power Up – was announced worldwide on Saturday, January 6th. As we get closer to winter break, The Lightning Turtles are finishing up training activities in preparation for the Power Up Reveal in January 6th. 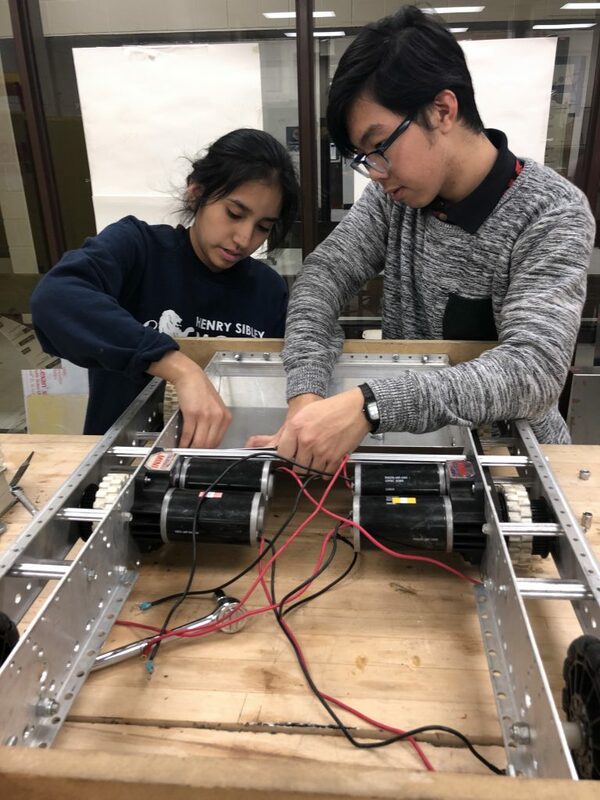 Luz and Khai rewire the test drivetrain. 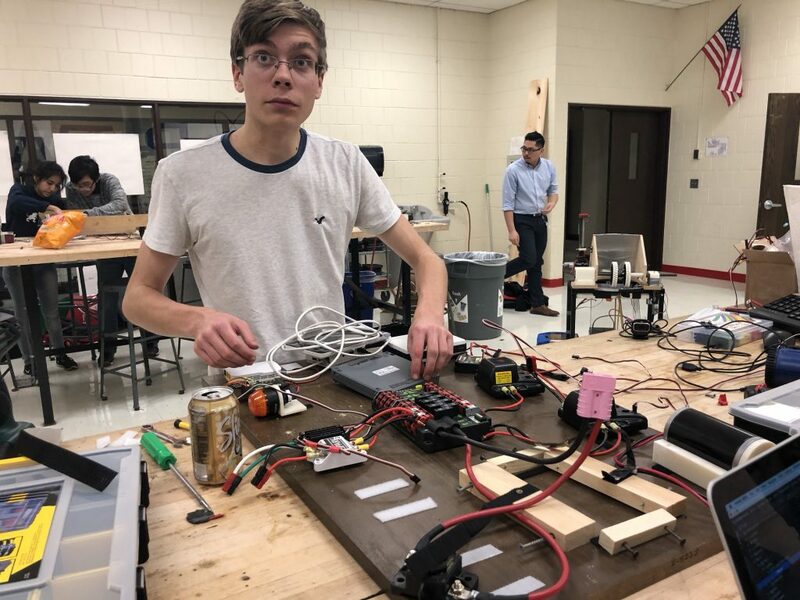 Gabe updates the test wiring board. Ok – old bin of fasteners on the bottom; new highly organized (1 of 20) parts bins on the top. We had a great night at Culver’s! 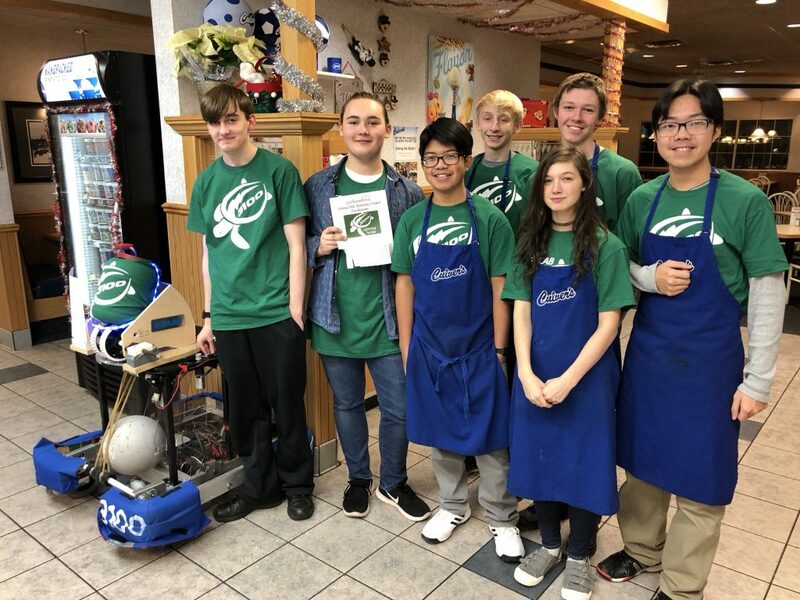 Through strong social media outreach and perseverance (including fabricating 3 street signs as well as marketing to customers at the Holiday Station across the street), Tuesday night December 5th was a banner night for Culver’s and for our team fundraising efforts. 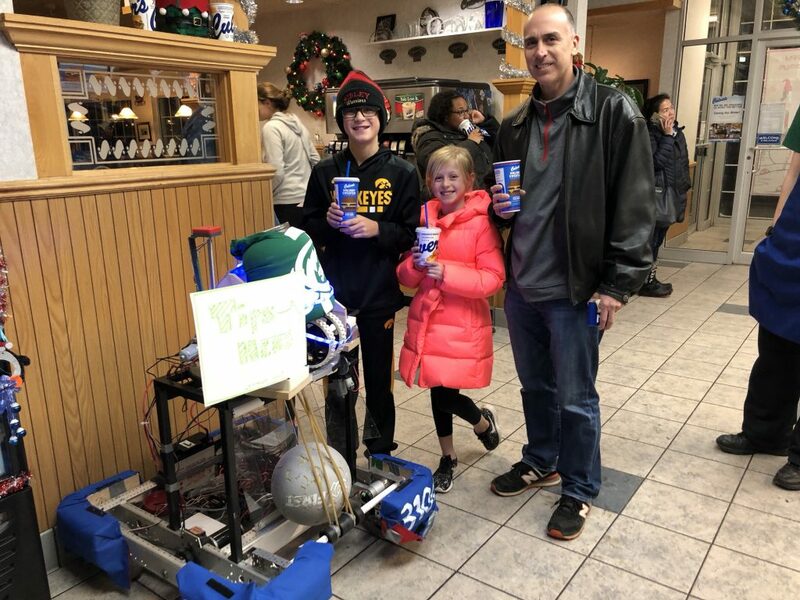 With the 10% giveback from Culver’s and tips we received, we raised $310 and educated many, many customers and intrigued kids from the community with our ball-shooting robot. 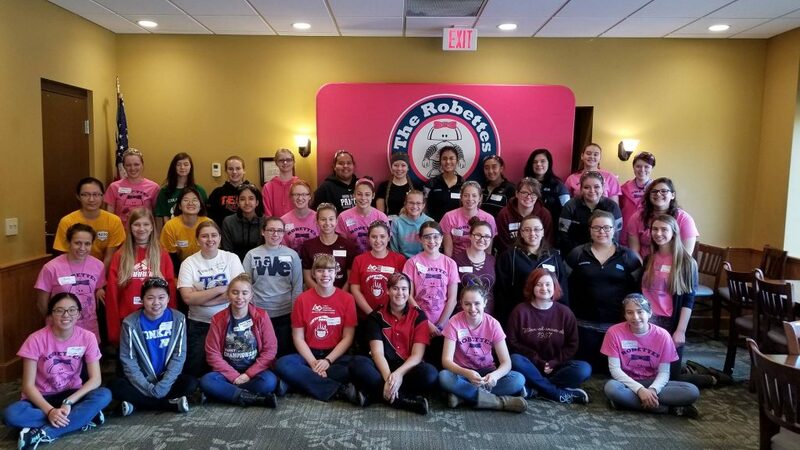 Half our crew delivered meals to customers in the drive lane and the dining room, and the other half talked about the Sibley robotics program, our growth and our passion for problem-solving and engineering. Thanks to all who came out on a very cold and slippery evening. For a bit, our passion became your passion and we appreciate your patronage and donations! Members of The Lightning Turtles – ready to serve and inform customers about our team. The Chandlers stopped by for dinner and a robo-discussion. 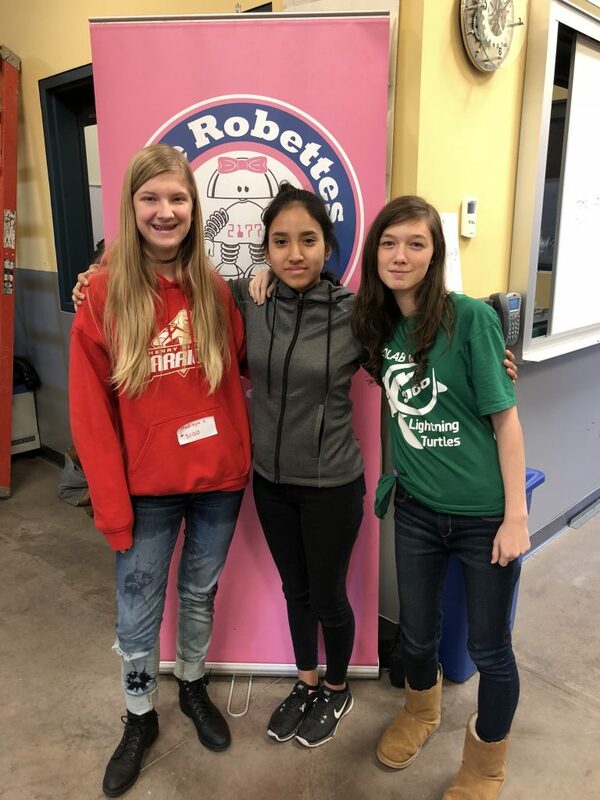 Three members of The Lightning Turtles team participated in the Robettes GRIP (Girls in Robotics Improving Performance) workshop at Visitation School on Sat Nov 12th.